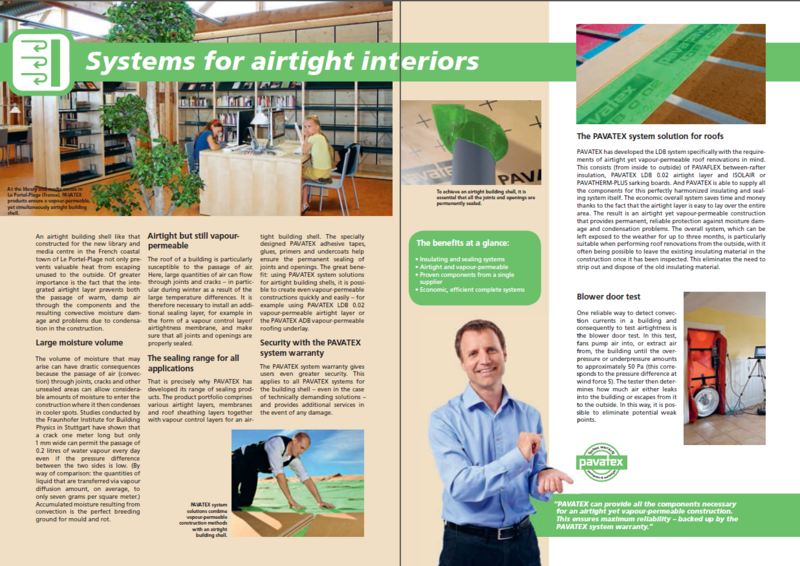 Wood Fibre Insulation from PAVATEX – a company from Switzerland. Since their establishment in 1932, PAVATEX specialise in the manufacture of high-quality wood fibre insulation systems for the building envelope. Over 80 years of experience and innovation make PAVATEX the leading supplier worldwide. PAVATEX wood fibre insulation offers outstanding solutions, both for new buildings and for the retrofit of existing buildings. The ecological and sustainable wood fibre boards easily meet requirements for modern insulating materials and provide many additional advantages. They reliably protect against the cold in winter, the heat in the summer and shield the occupants from the noise of the outside world. They are free from harmful substances and, thanks to their vapour permeability, enable healthy and pleasant rooms as well as secure constructions. At the end of their life time PAVATEX wood fibre insulation can even be composted or thermally utilised. PAVATEX stands for sustainability and ecological construction. The environmental aspect has played an outstanding role since the founding of the company. Well insulated buildings rank among the most important factors of climate protection measures. 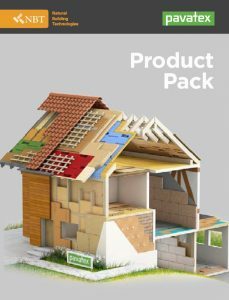 Through the use of PAVATEX wood fibre insulation materials, energy requirements are lowered, emissions of CO² are reduced and carbon is bound by the structural use of wood. By connecting climate protection with living comfort, PAVATEX systems represent the perfect building envelope for sustainable building projects. The PAVATEX production locations in Cham (CH) and Golbey (F) are among the most efficient and environmentally friendly in the industry. PAVATEX attaches maximum importance to energy efficiency and sustainability, both in the selection of the raw materials and in the manufacture and transport of PAVATEX wood fibre insulation boards. 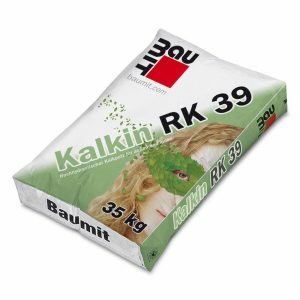 The renowned Natureplus association has honoured these efforts: it has awarded the PAVATEX insulating materials its coveted certificate and thereby confirmed their environmentally friendliness and suitability for healthy living. PAVATEX protects against the cold in winter. Wood is a precious raw material with outstanding insulating properties. PAVATEX has developed a unique process that increases the natural insulating properties of wood three-fold. 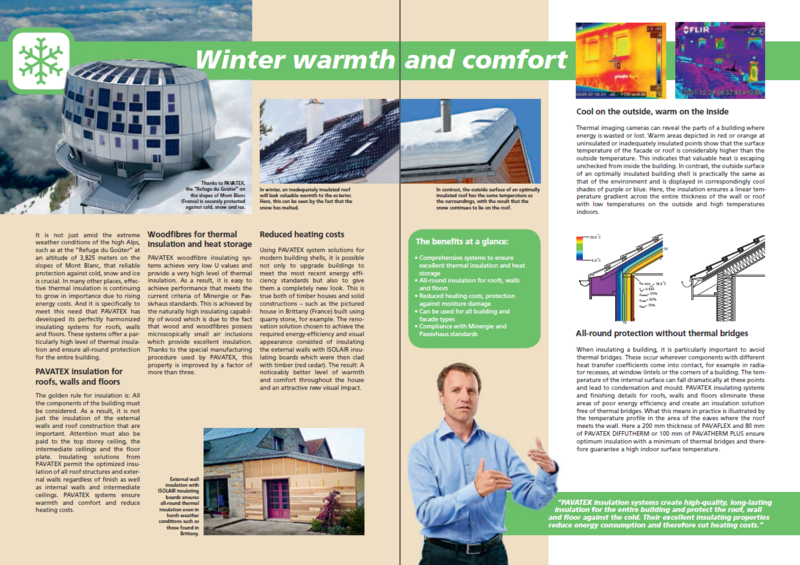 This highly efficient thermal insulation not only provides comfort, but also helps save energy. This is particularly useful in the winter: PAVATEX products ensure that cosy warmth lasts longer in the home, as the outstanding thermal insulation of PAVATEX wood fibre insulating materials prevents heat loss. The natural porosity and the composition of the fibres make wood a particularly efficient insulating material. Professional PAVATEX products ensure that your heating costs are reduced even in the harshest winter. 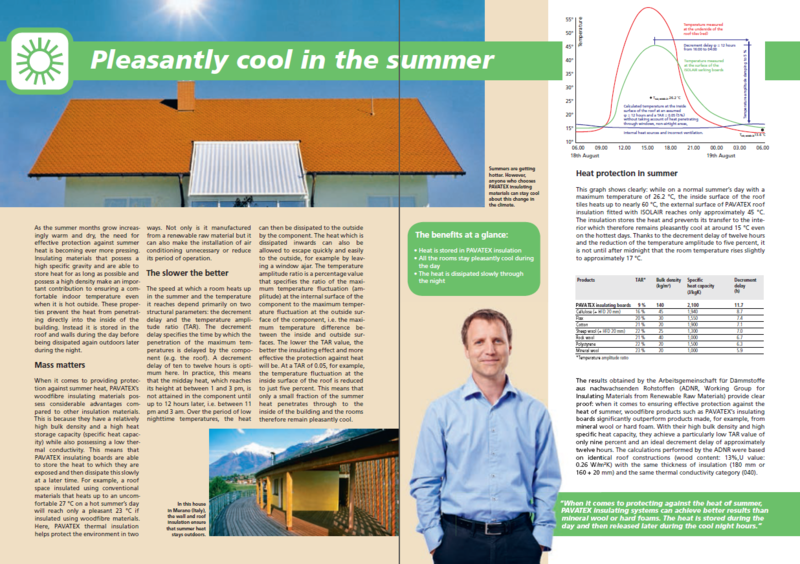 When the sun beats down mercilessly on the roof on hot summer days, there can be an enormous build-up of heat if the roof is not sufficiently insulated. While insulating materials are supposed to keep the warmth inside the building in the winter, they must keep the heat out in summer. The high-quality PAVATEX wood fibre panels help to create an ideal room climate both in winter and in summer, as their greater mass means they are particularly effective at buffering heat. With conventional insulation, the roof area heats up quickly to unpleasant temperatures above 27° C. With the PAVATEX wood fibre insulation, the temperature of the same area can be reduced to a comfortable 23° C.
Noise is not only bothersome, but also poses a risk to health. In cities in particular, people are exposed to sources of noise on a continuous basis. If you can’t get away from this noise even in your own home, this can result in serious health problems. It is therefore well worth protecting your home accordingly. PAVATEX wooden fibre insulation offers outstanding protection from airborne and impact noise. In frequency ranges relevant to building acoustics, PAVATEX is a clear winner with its outstanding noise absorption properties. Regardless of whether you’re faced with a large building site on your doorstep or you live near an airport or busy road, PAVATEX provides reliable protection against noise. Homeowners need to consider the worst-case scenario: the building catching fire. They need to be prepared for what should never happen in order to protect residents and the building as best they can. House fires can even generate temperatures of more than 1,000° C.
The so-called carbonization effect means that compared to conventional insulating materials, PAVATEX wooden fibre panels remain intact and thus prevent oxygen influx, limiting the speed at which the fire can spread. In the worst-case scenario, these are precious minutes that can save lives. 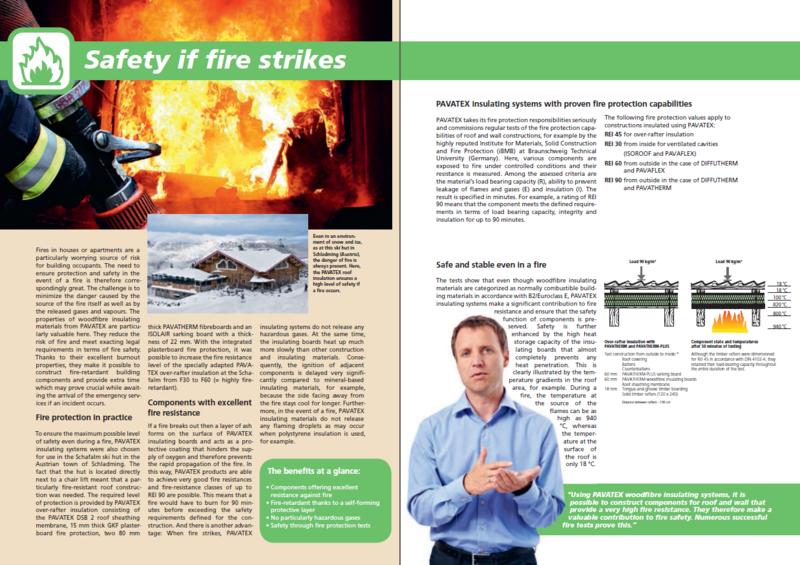 In addition, PAVATEX wooden fibre insulating panels release virtually no harmful emissions in the event of a fire. Buildings should be constructed so that they are permeable in order to allow humidity regulation of inside and outside air. 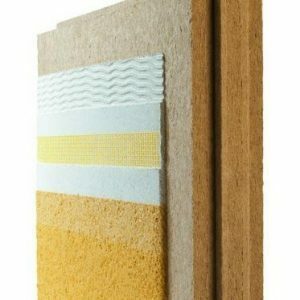 PAVATEX wooden fibre panels are ideal for this, since they are high-quality, permeable insulating materials which, thanks to their hygroscopic quality, reduce the risk of damage to the building’s structure and ensure a healthy and pleasant room climate. The air tightness layer of the building shell should prevent warm and moist air penetrating building components and thus prevent convective moisture damage and condensation problems in construction. A special layer that is integrated into or applied to the components of the building shell (e.g. external wall, roof) prevents penetration. The vapour barrier often also serves to make the building airtight at the same time. 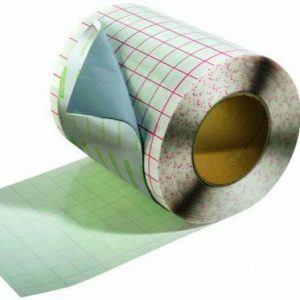 Vapour-permeable insulation and airtight construction – made possible thanks to the new sealing range from PAVATEX. Optimally tailored to the PAVATEX wood fibre insulating systems, its innovative system solutions open up new paths in terms of energy-conscious construction and renovation. 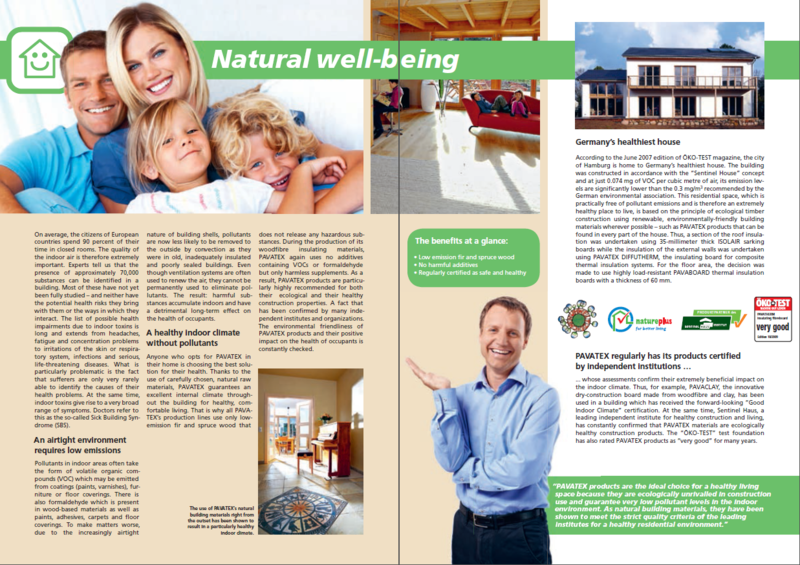 A healthy home is a significant factor for our well-being. It is possible to identify over 70,000 different chemical substances in the inside air of a residential building. Some of these are harmful to health. Since we spend almost ninety percent of our day in closed rooms and are exposed to these contaminants almost relentlessly, the number of people suffering from allergies is constantly growing. Many people suffering from lethargy, headaches, tiredness, lack of concentration or susceptibility to infections often don’t take poor indoor air quality into account as a factor when looking for triggers. PAVATEX products are made of fir and spruce wood, which emit virtually no volatile organic compounds or harmful substances into the indoor air. This makes PAVATEX a guarantee of a healthy home. No raw material for insulation is more natural than wood. 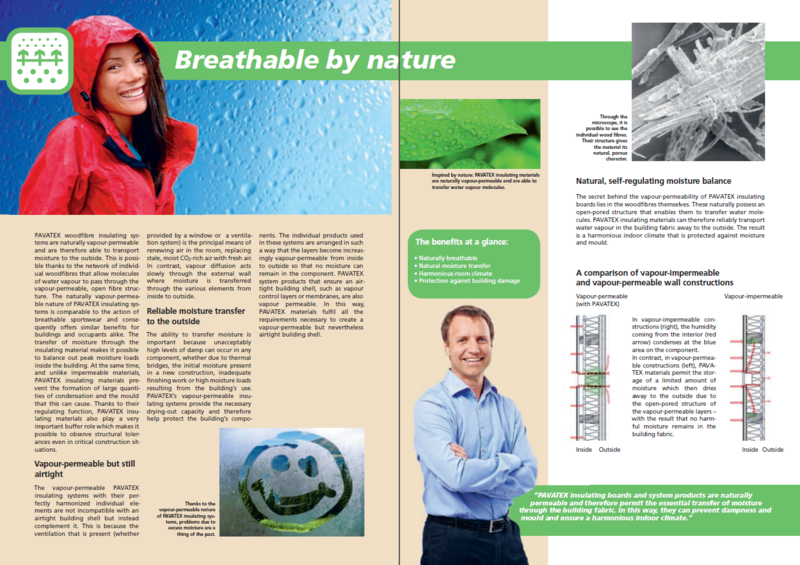 All PAVATEX products consist of untreated wooden fibres pressed into panels in an eco-friendly process. PAVATEX products represent an environmentally friendly use of resources. The wood for PAVATEX insulating materials, mainly fir and spruce, comes from forestry operations in the region surrounding each factory. 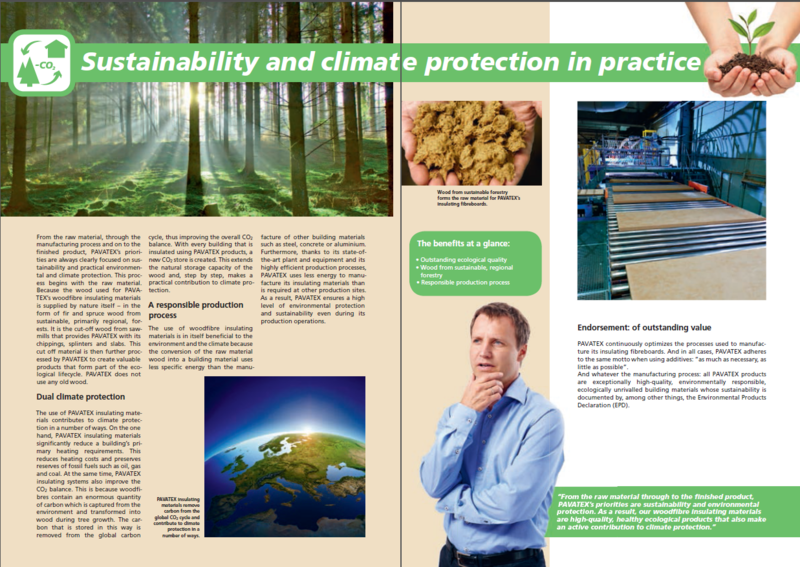 Since wood is a sustainable raw material and the production process in the factories is energy-efficient, PAVATEX wood fibre insulation panels meet the highest demands in terms of ecological sustainability. Wood improves the carbon footprint two-fold, because it stores carbon and also considerably reduces the need for heating energy.